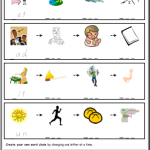 High quality printable resources to help your child’s reading. Suitable for kindergarten, preschool, prep, grades 1, 2 and 3. Practise spelling CVC words. 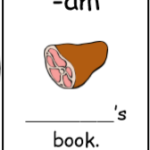 Look at the picture, say the word and write it. Cut and paste to match the words to the pictures. Sheets are organised by rime. CVC word practice. 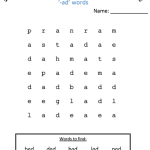 Each sheet has a different word family focus. 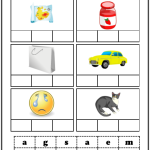 Each of these worksheets focus on two vowels at a time to give children the opportunity to hear the difference. 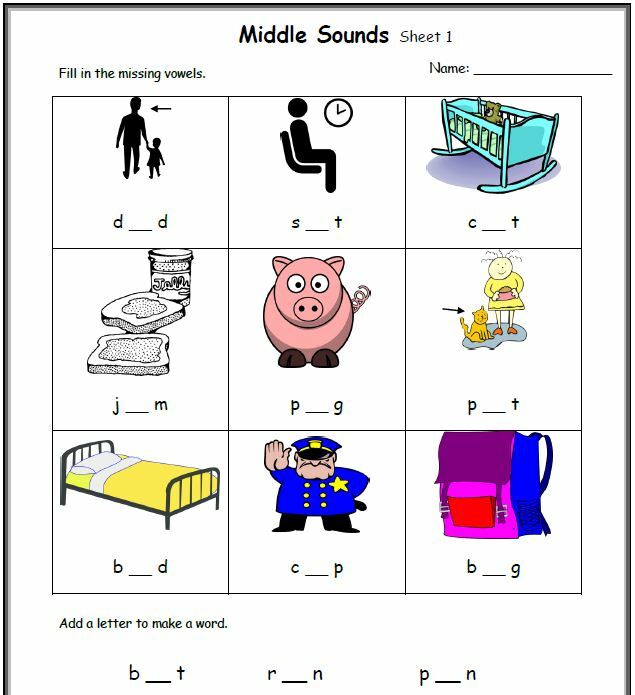 The first and last letter are given and the focus is on hearing and identifying the vowel sound. 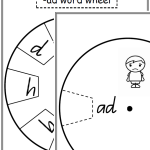 The vowels are dotted in as the focus here is identifying the beginning and ending sounds. 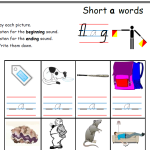 For practice hearing and identifying the beginning and ending sounds of CVC words. Children use the letters given to create the CVC word pictured. Sound blending practice. Change one letter at a time to create new words. Sound manipulation practice. All 21 CVC word booklets here. All 51 word booklets here. Your worksheets makes my job teaching my own child a lot easier. Thanks a lot and may you continue sharing such kind of useful and helpful teaching materials. You’re welcome- glad to hear you’re finding our resources useful. Thank you I found all the materials I need for my reading intervention it made my work easier now. 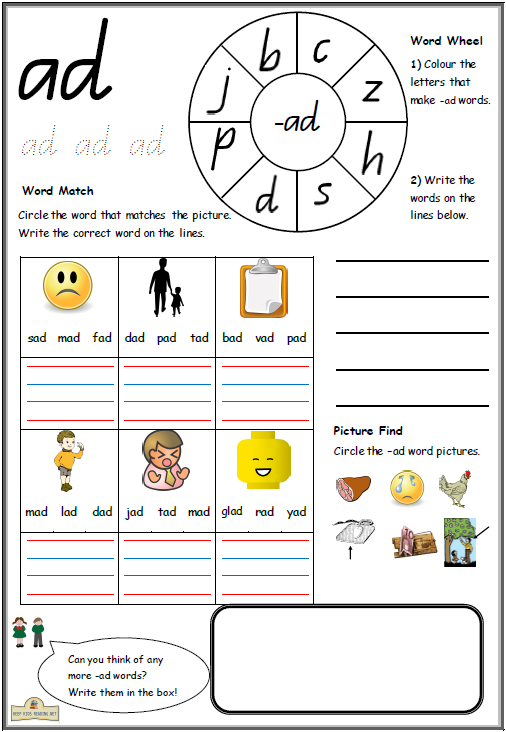 Your worksheets are awesome for remedial children. Thanks a lot. Thank you so much for your sharing. 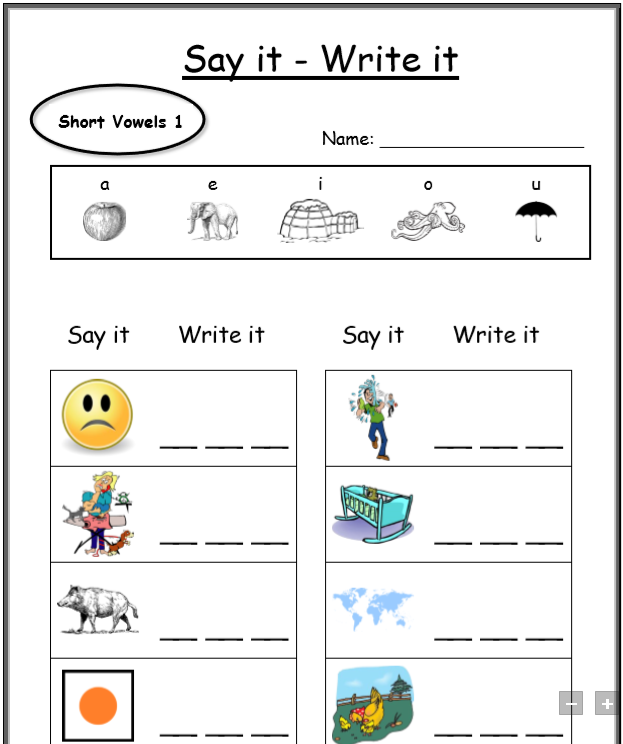 these worksheets help me a lot in my writing teaching. Awesome!! I work for a school that has a large international population, and the children are on all different levels even though they might be in the same class and this website has helped me focus on their weaknesses to make them strengths. Thank you!!! Word chain 3…line number 2 has a crib…can’t figure it out. Is there an answer sheet? Hi Kristie, the second word should be’cot’. No answer sheets sorry! 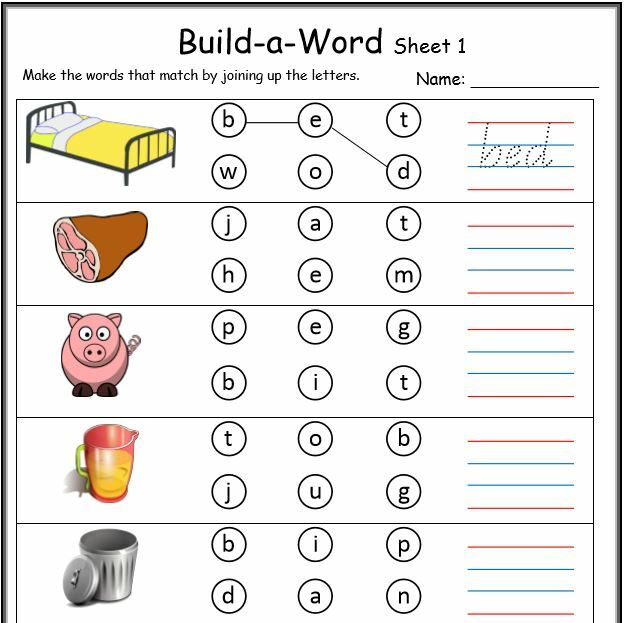 Your worksheets are really awesome and educational for kids. Thanks a lot. 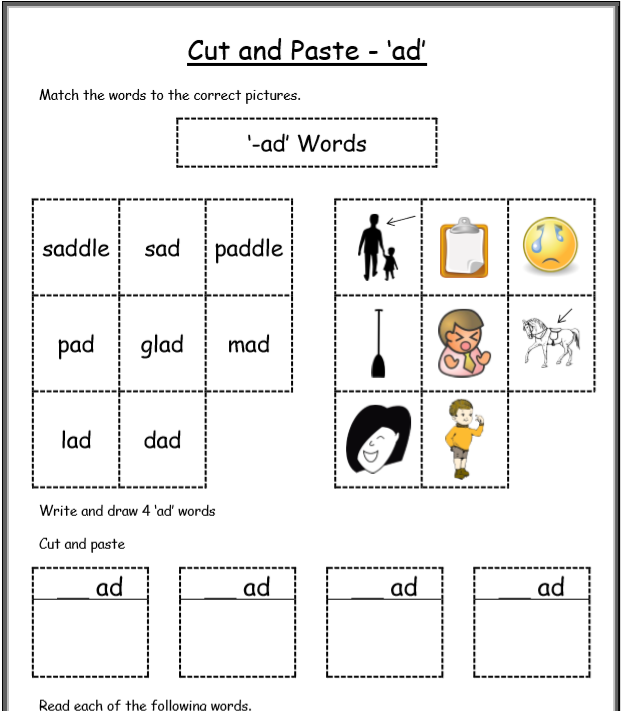 these worksheets are excellent and was super-helpful to all levels . 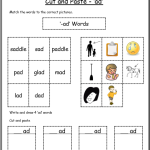 Hi there, we do have a range of sight word worksheets. 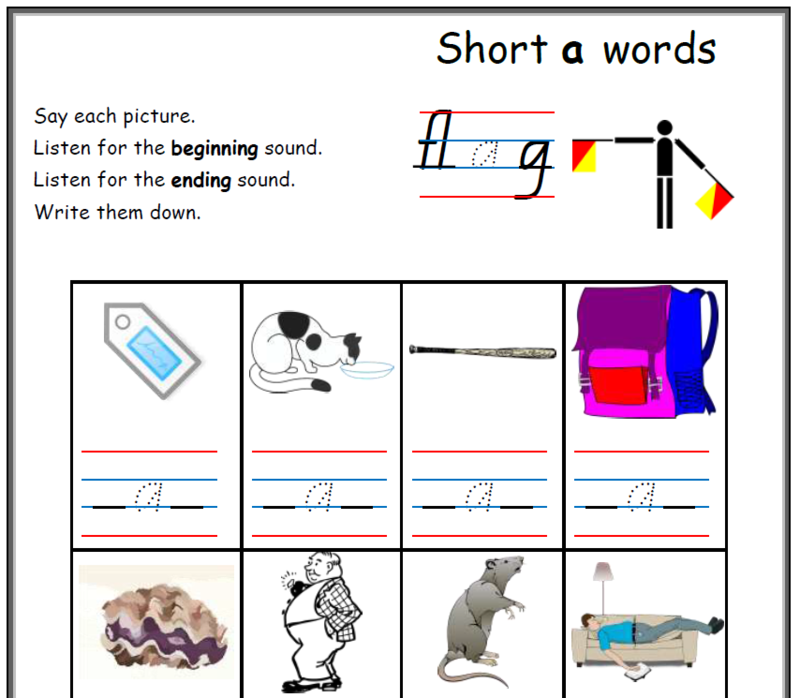 Access them through the sight words/sight word resources link in the top menu. 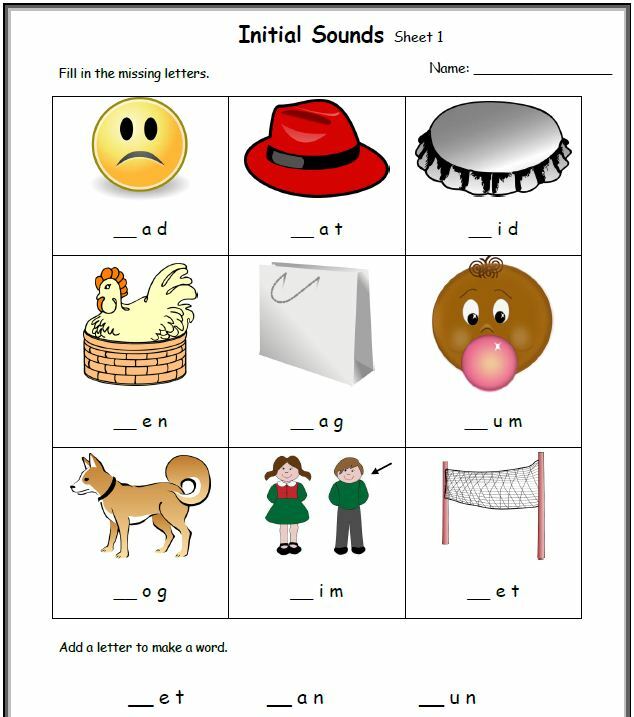 My son has the short ‘e’ worksheet, there’s a duck in a pond with rain… can’t figure out the answer. Thank you. 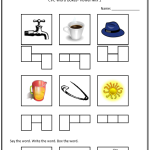 Hi my son is on a worksheet the first picture is a faucet, can’t figure that out! Also, is the second one tea? Hi there, without knowing the exact worksheet, I believe it is ‘tap’ and ‘mug’, ‘cup’ or even ‘hot’. Is there an answer key? Some of these pictures are pretty difficult for kinder. I can’t even figure some of them out. Hi there, thanks for the feedback. We are currently working on answer sheets. On ‘CVC Initial Sound Sheet 3′ most of the words are hard, any clues y’all? Hi Alex, we have just spotted an error on that worksheet so thanks for letting is know. The words should be ‘fin’ ‘win’ ‘lap’ ‘pod’ Then ‘vet’ and ‘run’. Answer sheets are on their way! Hi Georgia, thanks for your comment. 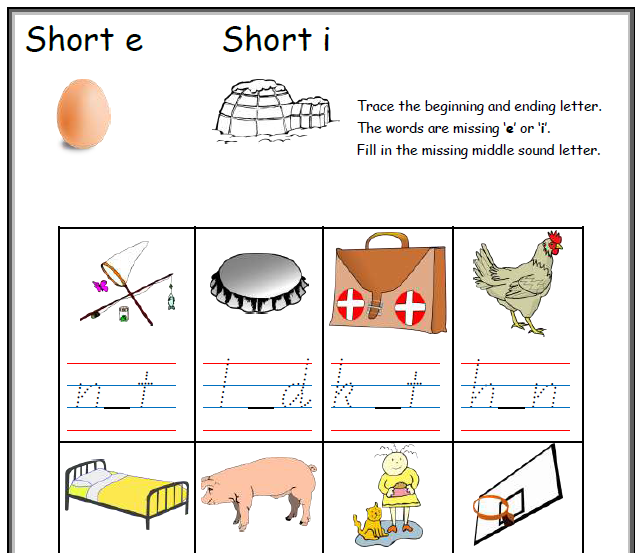 Lots of our worksheets on our new website (www.easyteaching.net) now have answer keys. Hope this helps! Thank you very much for the author of this page. 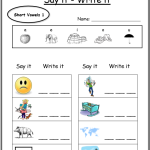 Great worksheets for the students. More power to you. 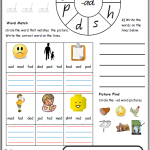 Wonderful worksheets! They are very useful to my son. Thank You! You are such a blessing. Made my teaching to my son so much easier. Thank you Thank you. Glad the resources have helped! 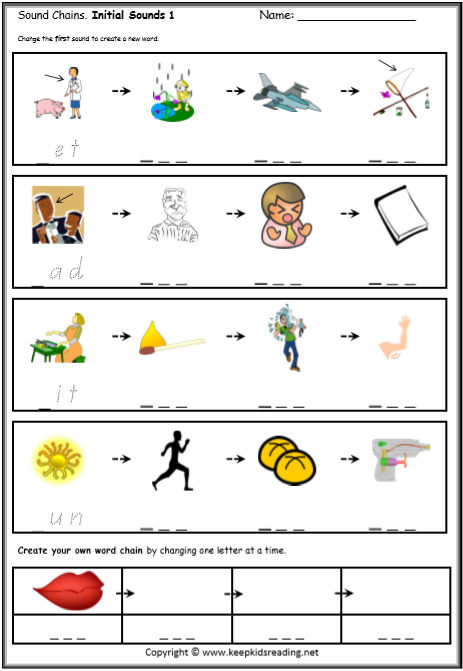 I have moved the resources to easyteaching.net and added many more if you would like to see what else there is that could help your son. Thank you so much! Your worksheets make teaching my son so much easier and fun!!! Very appreciated for your time here!! TY!